 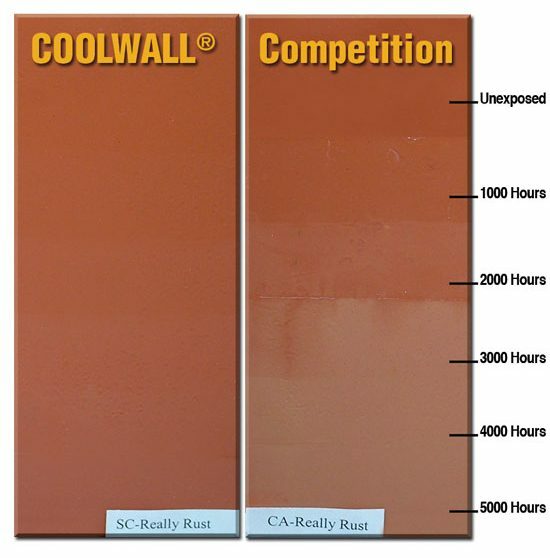 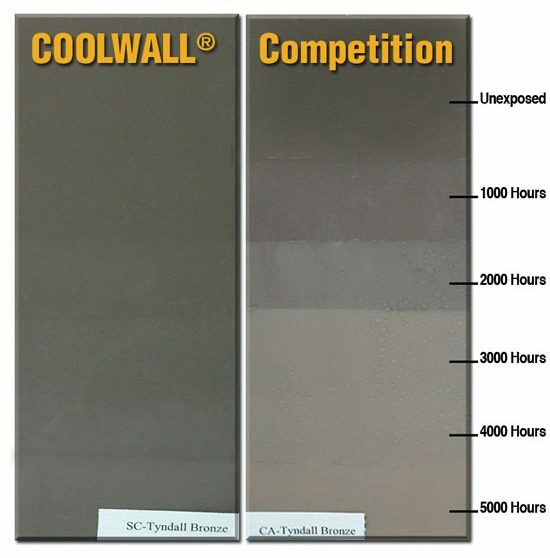 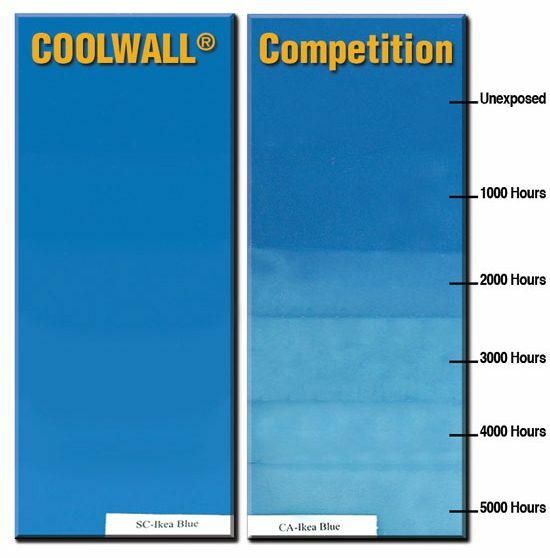 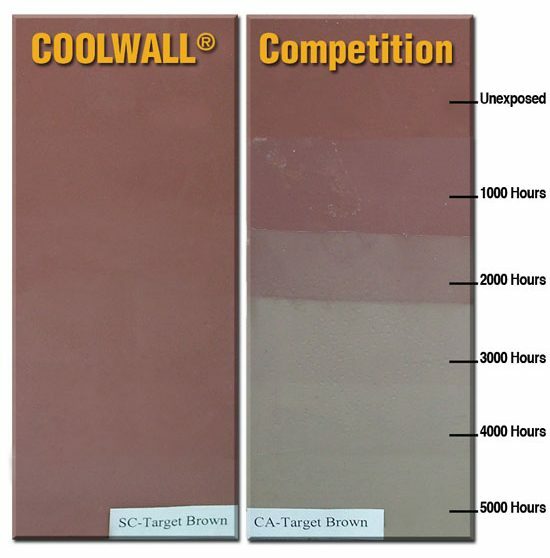 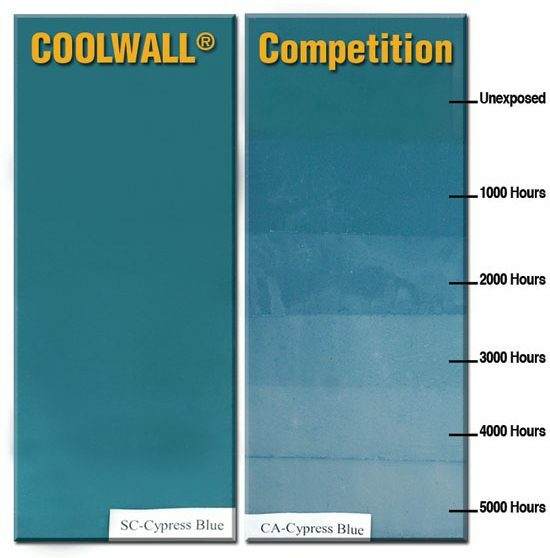 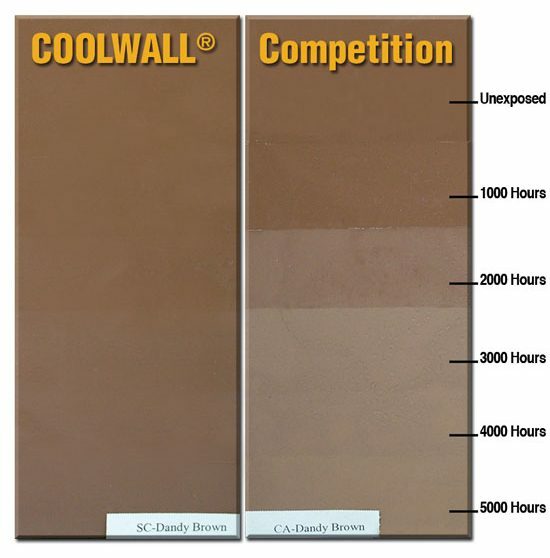 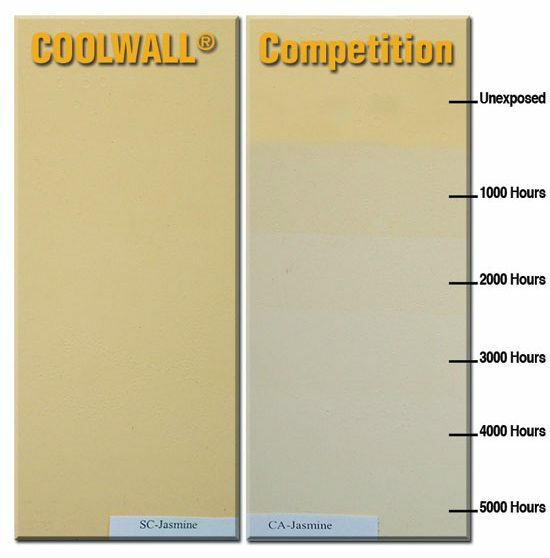 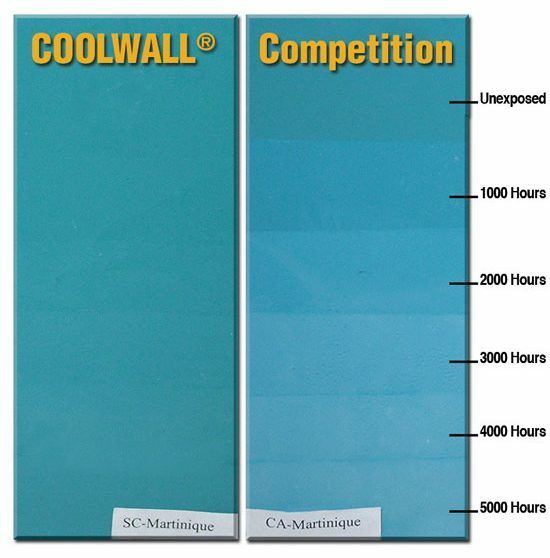 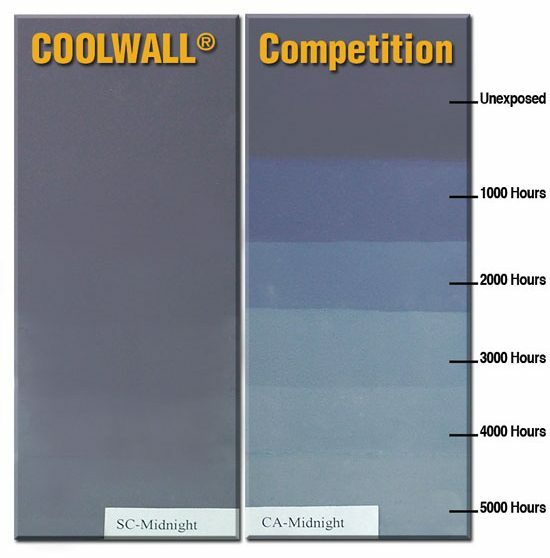 Compare the way TEX•COTE® COOLWALL® technology helps reduce the effects of fading when compared to some of the leading paint products on the market today. 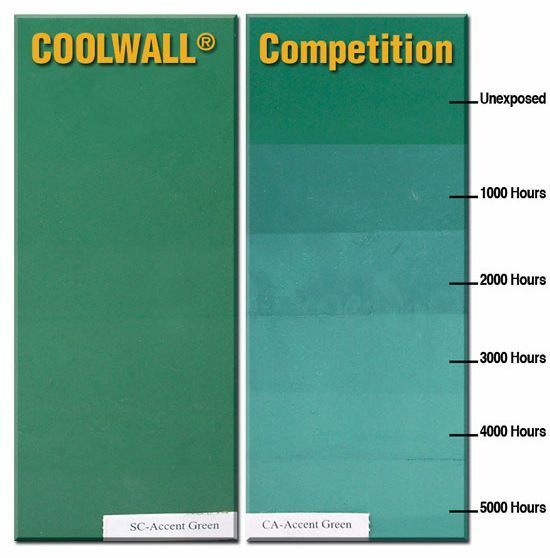 Accelerated weathering with 5000 hours of testing is equivalent to approximately 10-12 years of southern exposure (much longer in northern climates). 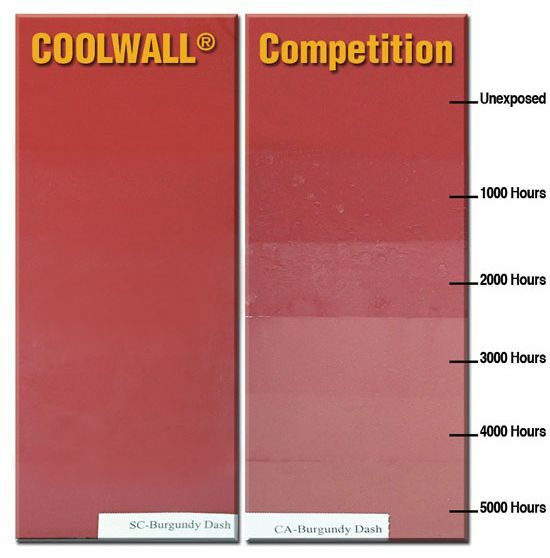 Every 1,000 hours is equivalent to 2-3 years of exposure.